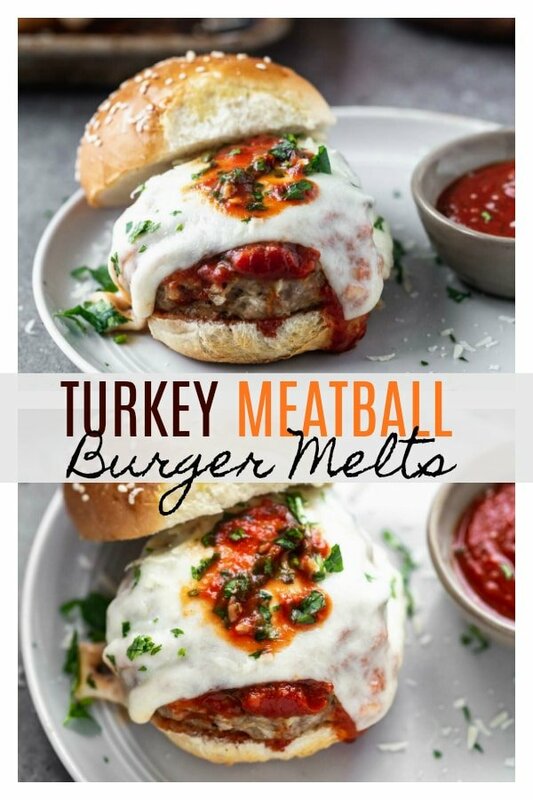 Turkey Meatball Burger Melts are basically a tender, moist, and FLAVORFUL meatball transformed into a burger. 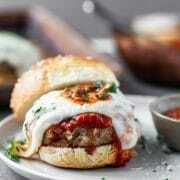 The “meatball” patty is smothered with sweet marinara, covered in gooey fresh mozzarella and baked, for the perfect hand-held classic Italian dish. Even though I’d like to pretend football season is officially over since the Chief’s failed to make it into the Super Bowl this year, I need to face the cold, hard truth. The season is in fact, not over, and there is yet another game ahead we won’t be a part of. The truth hurts. But you know what makes me feel better?? 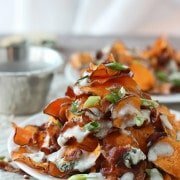 Knowing there’s still a reason to make Game Day dishes. 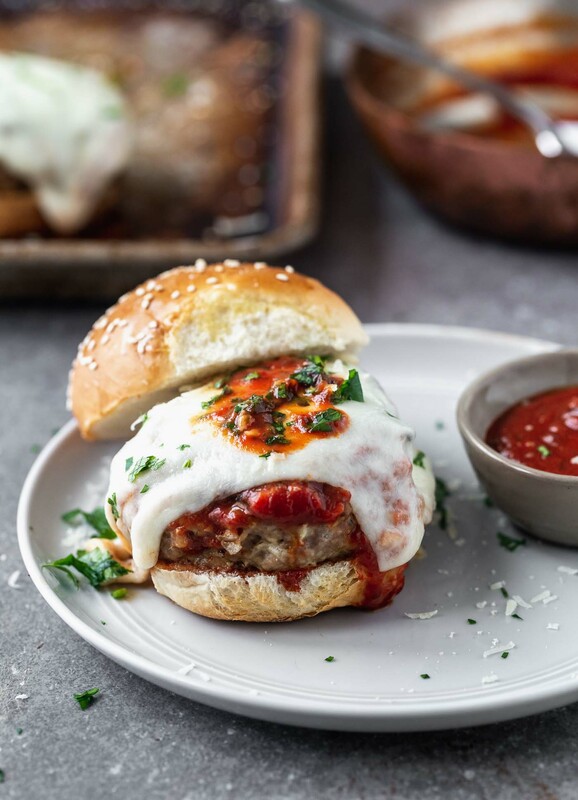 Dishes like today’s Turkey Meatball Burger Melts to be exact. These are, for lack of a better word, SO FREAKING GOOD. Like finish the entire (colossal) burger, even though you may burst if you take another bite, good. 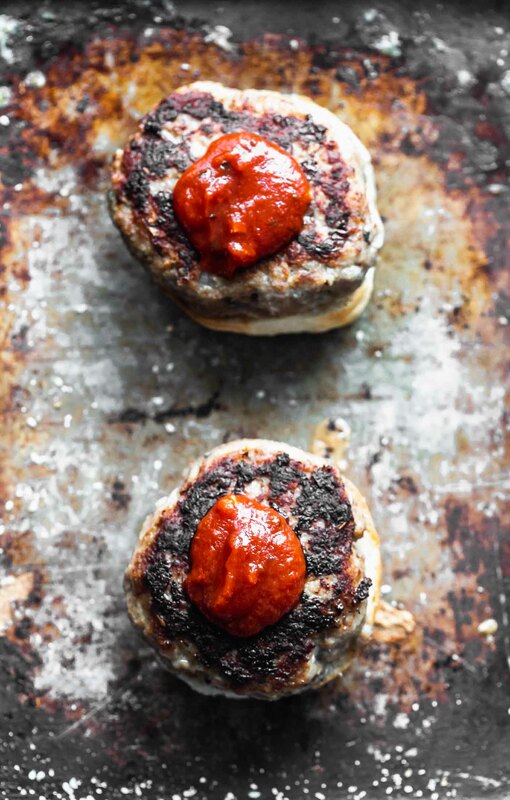 They taste like the most perfect, infinitely flavorful, tender-as-can-be meatball, but in burger form. I am VERY picky about meatballs and these meet all of my prerequisites for the ultimate meatball. This particular recipe has a lot of the same elements as these classic meatballs which are our very favorite, but I’ve lightened them up just a touch with the addition of lean ground turkey instead of ground beef and Italian sausage. I also didn’t have saltine crackers on hand, so I swapped those out with some plain whole-wheat bread crumbs I had in the pantry. Meatballs, generally, seem pretty straightforward but unfortunately, they’re a lot easier to screw up than you might think. 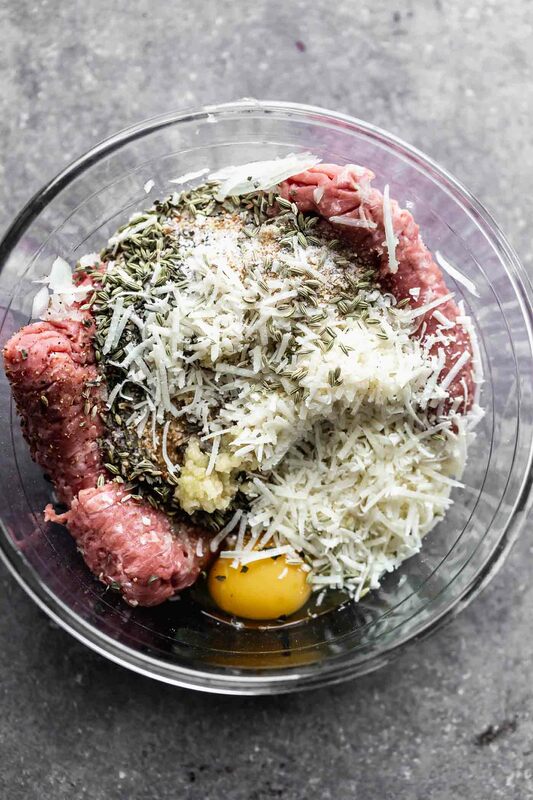 I happen to be a self-proclaimed meatball expert, and have made more variations than I can remember, so I’ve collected a few essential tips to ensure perfect meatballs every time. For every pound of meat you use, add one teaspoon salt. There is nothing worse than biting into what looks to be the perfect meatball, only to find it’s bland. Lots of parm. Because why not? An egg. For binding the ingredients together. Some type of binder. As much as I’d love to leave the carbs out, they really are necessary to create a really tender meatball. You don’t need a lot, and really anything goes! Leftover bread, breadcrumbs, saltine crackers, whole-wheat crackers – whatever works! DO NOT OVER MIX! This is probably the most important step. Over mixing = tough meatballs. You don’t want this. 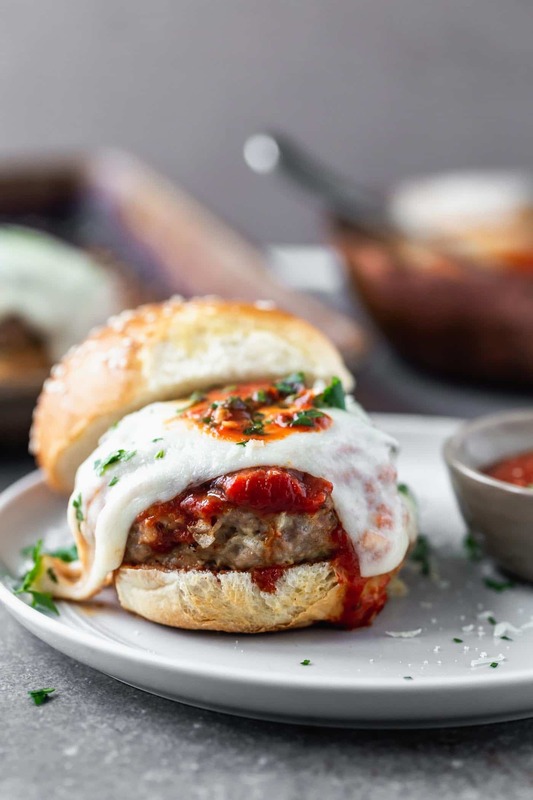 Now that we’ve talked about all the requirements and things you need to know to make the perfect meatball, here’s the ingredient list lineup of these particular meatballs/burgers. 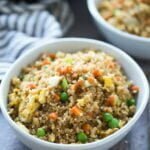 lean ground turkey – You really want to make sure to get LEAN ground turkey, full-fat ground turkey is just as fattening and has just has many calories as some variations of ground beef. I wouldn’t advise ground turkey breast, as it could dry out the meatballs. After all the ingredients are GENTLY mixed together, they’re formed into four patties, and cooked up in a little bit of olive oil (just like meatballs) until they’re brown and crusty on both sides. 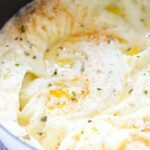 Don’t worry about cooking them all the way through, they will finish cooking in the oven while the cheese melts. As the burgers, cook I like to throw together a super easy marinara sauce with tomato paste, a little bit of garlic, water and some seasoning. Again, it’s VERY simple, but it’s all you really need. I like to keep one of those tubes of tomato paste in my fridge, especially for recipes like these where I only use a portion of a can of tomato paste. That way you can save the leftovers for a later date. Once the burgers and sauce are ready to go, a little bit of sauce gets spooned on to each cooked patty (that may be a little bit underdone), fresh mozzarella cheese is layered on top, and then they’re baked until the cheese is melted and the turkey patties are cooked through, another 5-10 minutes or so. For assembly, all you do is smother a little bit more sauce on top, sprinkle with chopped parley and sandwich between toasted buns. If you don’t want to make your own marinara sauce, just buy your favorite jarred marinara from the grocery store. No big deal. 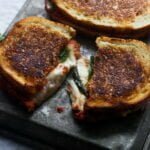 Try not to substitute the fresh mozzarella for anything else. 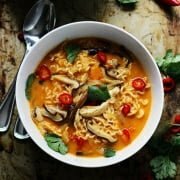 It’s necessary to create that stringy, gooey, and melty finished product. Again, DO NOT over mix the meat mixture. Toast the buns to create a barrier between the sauce and bun. It prevents overly soggy sandwiches. These would be AWESOME in slider form! Just form them into 12-16 patties instead and buy slider buns from the store. Can Turkey Meatball Burger Melts be made ahead of time? Absolutely! Form the patties, and cover with plastic wrap until you’re ready to cook. You can also make the marinara a few days ahead. 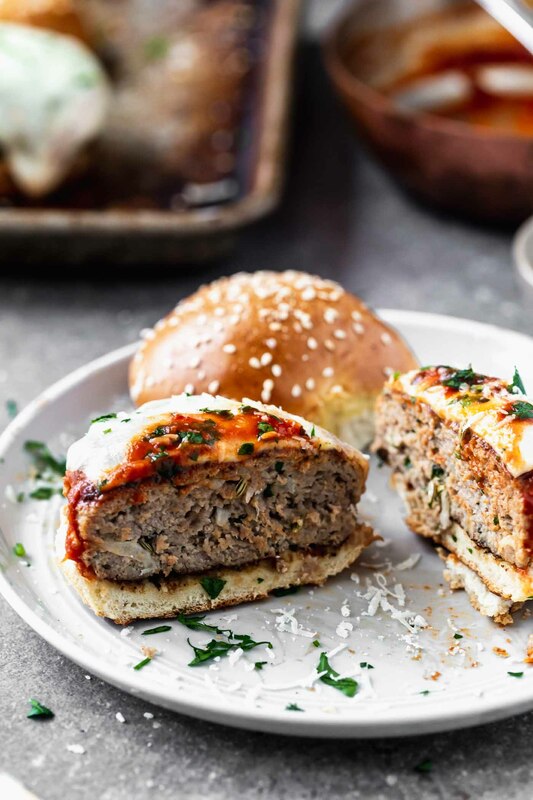 These Turkey Meatball Burger Melts are basically a tender, moist, and FLAVORFUL meatball transformed into a burger. 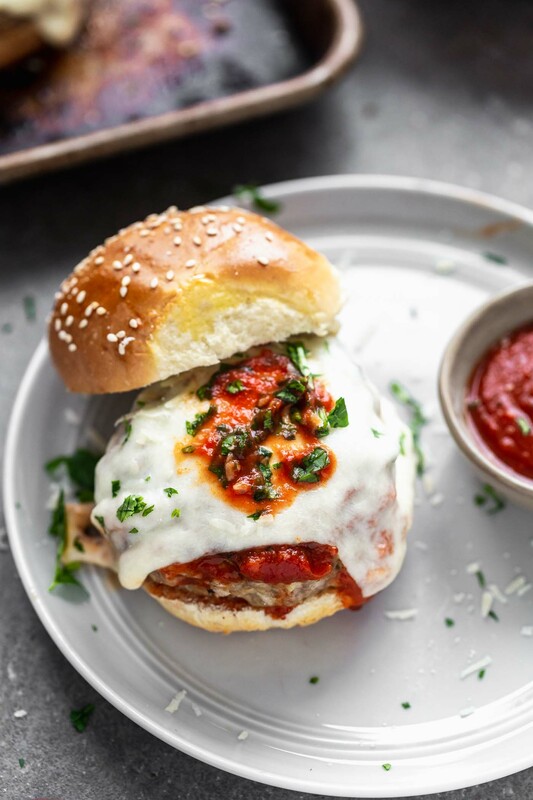 The “meatball” patty is smothered with sweet marinara, covered in gooey fresh mozzarella and baked, for the perfect hand-held classic Italian dish. Add ground turkey through egg to a medium bowl. Using hands to gently mix the mixture just until combined. Form into four equal patties. Heat a small sauce pan to a medium-low heat. Add 2 tsp olive oil. Add garlic, cook 30 seconds. Add tomato paste. 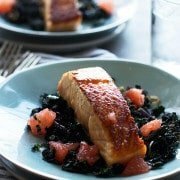 Cook 1 minute. Whisk in water, sugar and salt. Bring to a simmer. Simmer for 5-6 minutes while the burgers continue to cook. Heat a large cast iron skillet or griddle to a medium heat. Once the pan is hot, add 2 teaspoons olive oil. Spread evenly on pan or griddle. Sear burgers until golden brown and crusty on both sides, about 3-4 minutes per side.